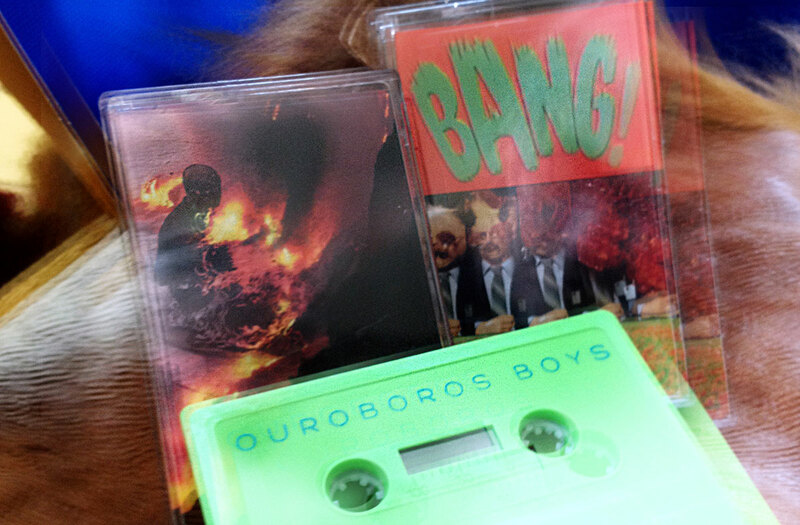 We had the pleasure of doing some quick design for Asheville’s own Ouroboros Boys. To build these very simple 2-sided j-card designs, Nick sat down and helped pick some bizarre images, we threw them together in Photoshop, and we wound up with a couple of cassettes that fit right in to the feel of the Ouroboros Boys music – strange, uncomfortable, loud, but ultimately cool. 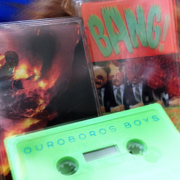 If you’re down for some trippy, surfy punk with a little bit of rag time thrown in, check out Ouroboros Boys. You’ll be glad you did.